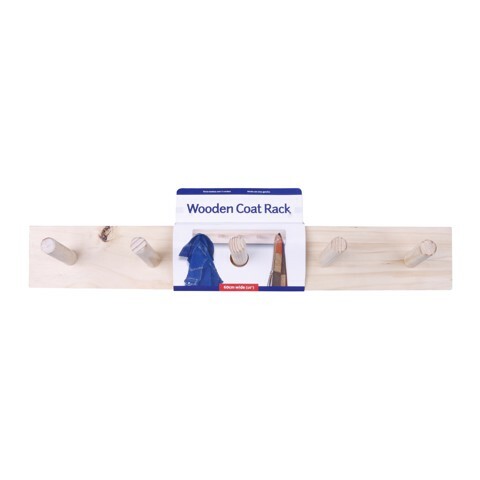 Coat Rack With 5 Hooks. 60 X 9.5 X 2CM | HOOK 8CM. . PINE WOOD. Packaging: SLEEVE.